Get better control of your hydro electric gates in Fontana CA with parts from our authorized ParkerStore. Are you looking for hydraulic cylinders for gate actuation and governor control? You could opt for a basic cylinder offering standard positioning technologies. But this would expose you to all kinds of limitations such as short strokes, temperature restrictions, and water ingression problems. Reliable performance: Your sensors will warn you if their health is compromised, reducing the risk of a sudden failure interfering with the operation of your hydro electric gates in Fontana CA. Need More Components for Your Hydro Electric Gates in Fontana CA? Of course, precision control of your hydro electric gates in Fontana CA isn’t worth much if you don’t have the power to open the gates. You may need other hydraulic components for this. Lucky for you, Bernell Hydraulics carries thousands of hydraulic parts and whatever we don’t have, we can source or build for you. 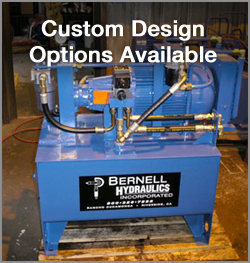 Of course, no matter what brand of part your hydro electric gates in Fontana CA require, you can enjoy superior customer service at Bernell Hydraulics. We offer three convenient ways for you to get your parts: in store pickup, local delivery, or nationwide shipping.